Our military families endure the burdens of separation when a significant member is repeatedly, often suddenly, called far away to serve for extended periods of time. Not only handling the separations but also the reunions and restoration of the family circle are the subjects of this book. Deployments post service personnel in distant places ashore and at sea. However, a special chapter deals specifically with what combat does to the combatant, to the family, and to the nation, with suggested coping strategies for those involved. The book is in two parts. Part One deals with the military member and the family. 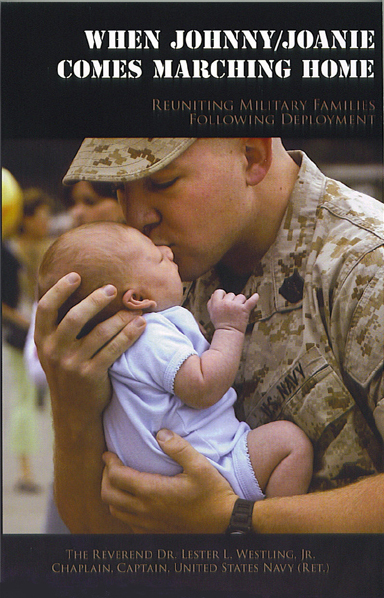 Chapter 1: “Change Happens” – Changes in individuals and the family that occur during deployment separations. Chapter 2: “The Combat Experience” – Hazardous duty has an effect on the family as well as the deployed member. Chapter 3: “In Search of Hope” – Positive resources within and surrounding military people and their families. Chapter 4: “A Lesson from R&R” – Defines Anticipatory Grief Work, how fear in a family can develop it, how it can become irreversible even if inappropriate, and how to interrupt it. Chapter 5: “The Reunion” – Expectations and positive management of the reunion. Part Two recreates seminars given over five years in the Pacific Fleet for returning sailors and Marines, with complementary seminars given at home port to prepare the waiting spouses for reunions. These Pre-Reunion Seminars have been edited to include all the services and for both genders – with women as well as men now returning to their families from combat and from duties in ships-of-the-line. A DVD attached to the back cover contains the complete text of both seminars (the same as in Part Two of the book) formatted in 8.5 X 11 inches for easy use by facilitators, together with the two films used in these seminars. With these resources, the seminars can be conducted in the field, aboard ship, and with awaiting spouses at home base or port. The author is a combat veteran, a licensed marriage and family therapist, an Episcopal Priest and retired military chaplain, with M.A. in Pastoral Psychology and Doctor of Ministry Degrees.